Practicing Licensed Massage Therapist and Reiki Master Practitioner, Nicole Jakubiak located just 1.5 miles east of downtown Naperville off Ogden Ave in the Naperville Executive Offices. She is now joined by a team of woman healers that offer other services including: Guided hypnosis, intuitive reading, mediumship, and Reiki. The main page includes general information, and other news updates. 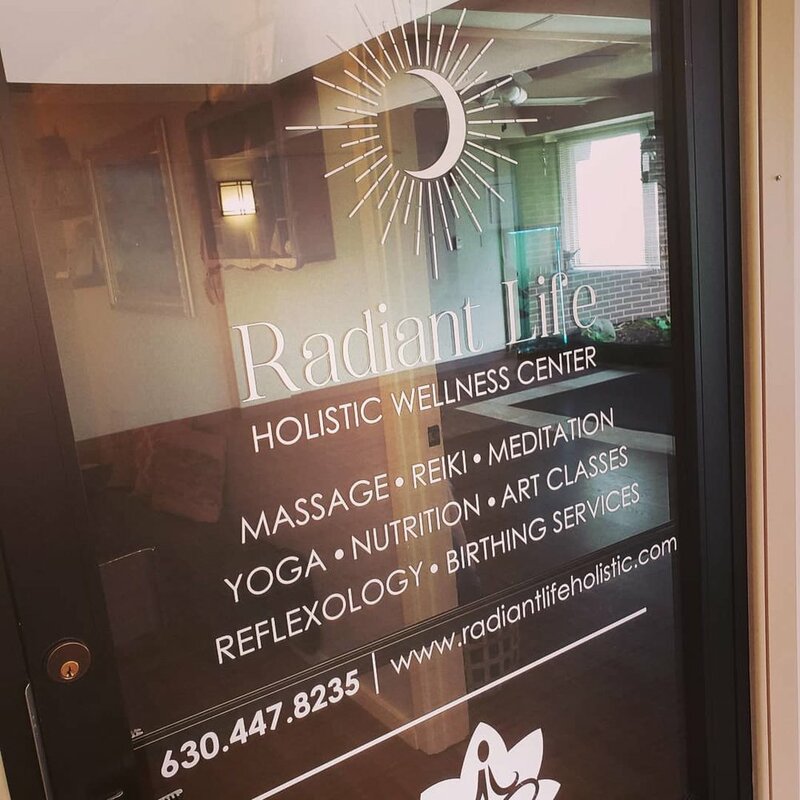 Radiant Life Massage Therapy Studio was founded by Nicole Jakubiak LMT and Reiki Master, in 2012. After six years exclusively offering Massage Therapy and Reiki energy work services, the studio has expanded to network with independent woman business practitioners: Dr. Donna Marino, PsyD of Inner Guidance, Julie Lomax: Yoga Therapist, Julia Wright: Integrative Nutrition Coaching, Kristin Louis: Woman’s Health & Birthing Services, Vanessa Harrison: Art Classes, Cindy Giles: Shaman and Life Coach, Samantha Ho: Reiki, all to offer complimentary services that help guide balance of body, mind, and spirit. 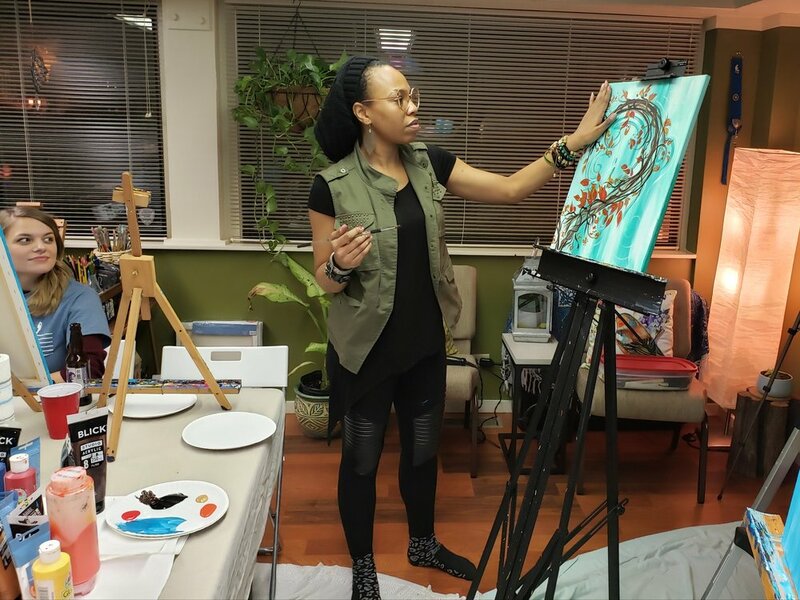 In August, 2018 the Holistic Wellness Center was opened at the new location that now offers services and group classes! I just had my first massage with Nicole at Radiant Life and it was one of the best massage experiences I have ever had. I have gone to many other places before, and none of them have compared to Nicole's attention to detail, listening to my trouble areas and then attending to those specific areas with a comfortable pressure. It was relaxing as well as therapeutic. She is very personable, and the environment was very warm, relaxing and welcoming. I will definitely be recommending her, and Radiant Life to others! Wellness Center entrance is the door to the right in the photo.